A friend from the city brought her father along to our annual Carbon Farming Conference. He is a farmer about to retire after a long career in arid South Australia. He was tired and glad to see the end of it... until he heard the presenters at the Conference! "You know," he said to his daughter during the long drive back to the city, "I'll never look at the farm the same way again." He had his old spark back. In the Handbook, there are more than 125 separate sections of Useful Information to help you decide (if you haven’t already decided), or to help you make the transition (if you have). "You'll speak 'Carbon' like an Expert"
You can ‘learn the language’ with our 100+ “Carbon Vocab” section. This can mean dollars in your pocket. EG. A 'forest' is one thing in one country and another somewhere else. In some countries, a forest for Kyoto purposes is at least 1 hectare of land covered 30% by crown cover from trees growing up to 5 meters tall. But here in Australia, a forest for carbon credits is an area greater than 0.2 hectares, reaching 20% crown cover, reaching potentially 2 metres. It pays to speak good "Carbon"! 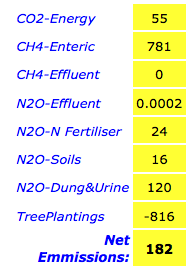 You can use any one of 13 online Carbon Calculators to calculate your Methane and Nitrous Oxide emissions. You simply enter you own data into the spaces shown, and it automatically calculates your emissions and your liability. 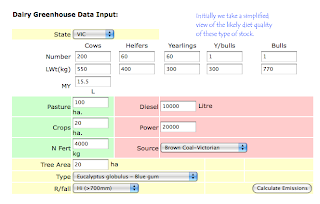 There are calculators for every major commodity - beef, sheep, dairy, grains, trees, cotton, wine, and more... Notice they don't have one for soils. How many tonnes of Carbon are you capturing? If you have the results of soil carbon tests, you can use the “Percentage to Tonnages” Model to work out how much soil carbon you have captured. It's easy. 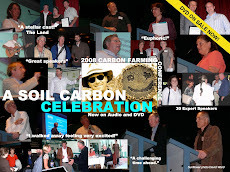 There is also access to 45 official online resource sites; Links to 36 slide shows from Carbon Farming Conferences; 25 useful quotations; and 5 Soil Carbon Reward /Trading Systems profiled. Why Should You Get This Handbook? 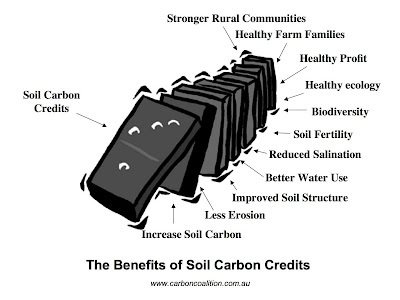 Carbon Farming is the land management system that is the most effective in responding to Climate Change. It can be used to build a buffer against higher temperatures and lower rainfall. It can cut input costs as it taps into the nutrient reserves and productive capacity hidden in the soil. 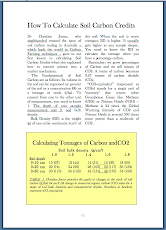 >Carbon Farming is the only way to increase soil carbon which is the engine room of growth in Agriculture. But which approach is best for you? Only you can say – and The Carbon Farming Handbook helps you decide.